We’ve all been there – the old yoga mat, now thin as paper, needs to be thrown out. Or wait, maybe not? What if there was another use (or several!) for it? Here are a few ideas – I’d love to hear about yours, please share in the comments! Do you dare – slowing down? This is a great idea! I love creativity! What a fantastic idea!!! I am excited to use one of my old mats to create a vision board! Good ideas. Here’s another: line the crisper / fruit drawer in the fridge so the apples don’t go rolling around noisily. OH MY!!! i LOVE it!!!! think i just felt the need for NEW mat come on!!! Good ideas! Mine is biodegradable though, would that work? probably not in the kitchen with water and all…right? But if it’s biodegradable at least you don’t need to feel bad about throwing it out! So many of my favorite things! 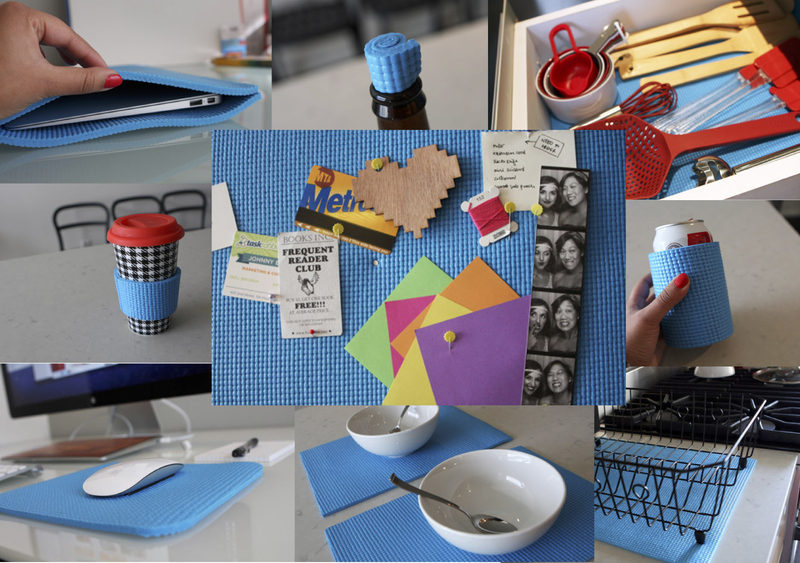 Yoga, recycling, diy!! Awesome post! Thank you! Another idea just occurred to me: Donating it to your local dog kennel, they can use it as cushioning on the floor!